213160 NEF Iveco NEF series diesel engine. 213161 GM NEF115M Iveco GM NEF115M Marine Generator Set Spare Parts Catalog. 213162 GM NEF60 M Iveco GM NEF60 M Marine Generator Set Spare Parts Catalog. 213163 GM NEF80M Iveco GM NEF80M Marine Generator Set Spare Parts Catalog. 213164 GE NEF100M Iveco GE NEF100M Genset Spare Parts Catalog. 213165 GE NEF100MA Iveco GE NEF100MA Genset Spare Parts Catalog. 213166 GE NEF100RA Iveco GE NEF100RA Genset Spare Parts Catalog. 213167 GE NEF125M Iveco GE NEF125M Genset Spare Parts Catalog. 213168 GE NEF130M Iveco GE NEF130M Genset Spare Parts Catalog. 213169 GE NEF130MA Iveco GE NEF130MA Genset Spare Parts Catalog. 213170 GE NEF160M Iveco GE NEF160M Genset Spare Parts Catalog. 213171 GE NEF160MA Iveco GE NEF160MA Genset Spare Parts Catalog. 213172 GE NEF180E Iveco GE NEF180E Genset Spare Parts Catalog. 213173 GE NEF200E Iveco GE NEF200E Genset Spare Parts Catalog. 213174 GE NEF200EA Iveco GE NEF200EA Genset Spare Parts Catalog. 213175 GE NEF45 M-5 Iveco GE NEF45 M-5 Genset Spare Parts Catalog. 213176 GE NEF45 M-6 Iveco GE NEF45 M-6 Genset Spare Parts Catalog. 213177 GE NEF45 MA Iveco GE NEF45 MA Genset Spare Parts Catalog. 213178 GE NEF60 M Iveco GE NEF60 M Genset Spare Parts Catalog. 213179 GE NEF60 MA Iveco GE NEF60 MA Genset Spare Parts Catalog. 213180 GE NEF60 RA Iveco GE NEF60 RA Genset Spare Parts Catalog. 213181 GE NEF75M-5 Iveco GE NEF75M-5 Genset Spare Parts Catalog. 213182 GE NEF75M-6 Iveco GE NEF75M-6 Genset Spare Parts Catalog. 213183 GE NEF75MA Iveco GE NEF75MA Genset Spare Parts Catalog. 213184 GE NEF85M Iveco GE NEF85M Genset Spare Parts Catalog. 213185 GE NEF85MA Iveco GE NEF85MA Genset Spare Parts Catalog. 213200 NEF45 Iveco NEF45 series diesel engine. 213201 NEF45 AM1-5 Iveco NEF45 AM1-5 Genset Engine Spare Parts Catalog. 213202 NEF45 AM1-6 Iveco NEF45 AM1-6 Genset Engine Spare Parts Catalog. 213203 NEF45 AM1A Iveco NEF45 AM1A Genset Engine Spare Parts Catalog. 213204 NEF45 SM1 Iveco NEF45 SM1 Genset Engine Spare Parts Catalog. 213205 NEF45 SM1A Iveco NEF45 SM1A Genset Engine Spare Parts Catalog. 213206 NEF45 SM1X Iveco NEF45 SM1X Genset Engine Spare Parts Catalog. 213207 NEF45 SM2-5 Iveco NEF45 SM2-5 Genset Engine Spare Parts Catalog. 213208 NEF45 SM2-6 Iveco NEF45 SM2-6 Genset Engine Spare Parts Catalog. 213209 NEF45 SM2A Iveco NEF45 SM2A Genset Engine Spare Parts Catalog. 213210 NEF45 SM2X Iveco NEF45 SM2X Genset Engine Spare Parts Catalog. 213211 NEF45 TM1 Iveco NEF45 TM1 Genset Engine Spare Parts Catalog. 213212 NEF45 TM1A Iveco NEF45 TM1A Genset Engine Spare Parts Catalog. 213213 NEF45 TM2 Iveco NEF45 TM2 Genset Engine Spare Parts Catalog. 213214 NEF45 TM2A Iveco NEF45 TM2A Genset Engine Spare Parts Catalog. 213215 NEF45 TM2X Iveco NEF45 TM2X Genset Engine Spare Parts Catalog. 213220 NEF6 Iveco NEF6 series diesel engine. 213221 NEF6 TAGE2 Iveco NEF6 TAGE2 Genset Engine Spare Parts Catalog. 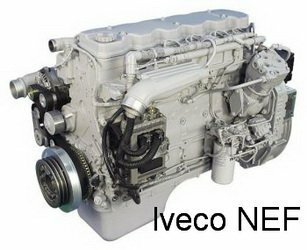 213222 NEF60 TE1 Iveco NEF60 TE1 Genset Engine Spare Parts Catalog. 213223 NEF60 TE2 Iveco NEF60 TE2 Genset Engine Spare Parts Catalog. 213224 NEF67 SM1 Iveco NEF67 SM1 Genset Engine Spare Parts Catalog. 213225 NEF67 SM2 Iveco NEF67 SM2 Genset Engine Spare Parts Catalog. 213226 NEF67 TE1X Iveco NEF67 TE1X Genset Engine Spare Parts Catalog. 213227 NEF67 TE2 Iveco NEF67 TE2 Genset Engine Spare Parts Catalog. 213228 NEF67 TE2A Iveco NEF67 TE2A Genset Engine Spare Parts Catalog. 213229 NEF67 TE2X Iveco NEF67 TE2X Genset Engine Spare Parts Catalog. 213230 NEF67 TM1X Iveco NEF67 TM1X Genset Engine Spare Parts Catalog. 213231 NEF67 TM2 Iveco NEF67 TM2 Genset Engine Spare Parts Catalog. 213232 NEF67 TM2A Iveco NEF67 TM2A Genset Engine Spare Parts Catalog. 213233 NEF67 TM3 Iveco NEF67 TM3 Genset Engine Spare Parts Catalog. 213234 NEF67 TM3A Iveco NEF67 TM3A Genset Engine Spare Parts Catalog. 213240 S23 Iveco S23 series diesel engine. 213241 S23 ENS C24 Iveco S23 ENS C24 Industrial Diesel Engine Spare Parts Catalog. 213242 S23 ENS 424 Iveco S23 ENS 424 Automotive Diesel Engine Spare Parts Catalog. 213243 S23 ENS C20 Iveco S23 ENS C20 Automotive Diesel Engine Spare Parts Catalog. 213244 S23 ENS C24 Iveco S23 ENS C24 Automotive Diesel Engine Spare Parts Catalog. 213245 S23 ENT C Iveco S23 ENT C Automotive Diesel Engine Service (workshop / repair) Manual. 213260 S30 Iveco S30 series diesel engine. 213261 S30 ENT M23 Iveco S30 ENT M23 Marine Diesel Engine Service (workshop / repair) Manual. 213262 S30 ENT M23 Iveco S30 ENT M23 Marine Diesel Engine Spare Parts Catalog. 213263 S30 ENT 422 Iveco S30 ENT 422 Automotive Diesel Engine Spare Parts Catalog. 213264 S30 ENT 425 Iveco S30 ENT 425 Automotive Diesel Engine Spare Parts Catalog. 213265 S30 ENT G20 Iveco S30 ENT G20 Automotive Gas Engine Spare Parts Catalog. 213280 V08 Iveco V08 series diesel engine. 213281 V08 ENT M11 Iveco V08 ENT M11 Marine Diesel Engine Spare Parts Catalog. 213282 V08 ENT M12 Iveco V08 ENT M12 Marine Diesel Engine Spare Parts Catalog. 213283 V08 ENT M75 Iveco V08 ENT M75 Marine Diesel Engine Spare Parts Catalog.